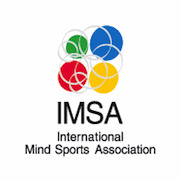 Following the very successful first World Mind Sports Games in Beijing, China in 2008, a second World Mind Sports Games was held in Lille, France, from 9th to 23rd August 2012 under the International Mind Sports Association banner. Go competition was scheduled for August 13-23, following the European and U.S. Go Congresses and the London Olympics, and after a qualifying event for the European Go team at SportAccord World Mind Games. The Go competitions were organized by the European Go Federation, but countries and territories anywhere in the world could send players, pairs, and/or teams. Eligibility: Amateur players nominated by a national Go organisation associated with the International Go Federation who are citizens of that organisation's country or territory. Nominations must be submitted to the tournament office by July 30. Youth participants must be born after August 20, 1991. Each tournament was five MacMahon rounds, followed by semi-final and final rounds for the top four. The schedule allowed a player to participate in up to three of the five tournaments. Medals were awarded in each of the five tournaments. Time control: 75 minutes + byo-yomi. No entry fee. Vanessa Wong won four games out of five and played the knockout stage. Unfortunately she lost again to the winner, Osawa Mayu of Japan, and then lost the play-off for third against Sarah Yu of Canada. Lower in the tournament Natasha Regan and Anna Griffith each won three games. Chong Han won three games to take 20th place. Andrew Simons won two and lower down Henry Manners won three and Paul Tabor one game out of five. UK1 was 6th in B Group, beating Ireland, Netherlands and Australia, but losing to Chinese Taipei 1 and Japan 1. Team member Chong Han won four out of five, Vanessa Wong three and Matthew Cocke one. UK2 was 12th in A Group, beating Romania 2 and Italy 2, but losing to Canada, USA 1 and Macau. All three team members, Andrew Simons, Jon Diamond and Paul Smith, won two games each. Martha McGill and Matthew Crosby won two games in A Group. Alison Bexfield and Simon Bexfield won two games in B Group.